The following post outlines how I managed to get a wallpaper compiled out of my top 50 artists at last.fm that changes automatically every hour. To achieve that I used the last.fm cover art website, Automator and the Unix utility cron. 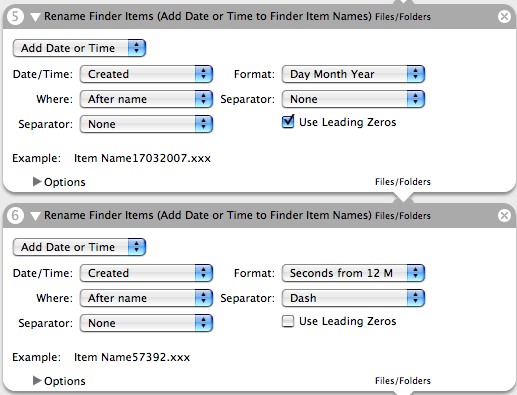 Choose the “Move to Trash” Action from the Finder Library and drag it under the previous Action. When you’re done setting up your image click on “Image Me” and wait for the picture to appear, then copy the address from the address bar of your browser. To save the image in the right folder we need the “Download URLs” Action from the Safari Library and specify the folder we chose previously in the delete step. In the following two steps of the workflow the file is renamed with date and seconds till midnight, so it has a different filename each time it gets downloaded. Otherwise OS X wouldn’t change the wallpaper even if the image changed. The last Action is Finder’s “Set the Desktop Picture” which you just have to drag into the workflow and you’re done. We have to set up a cronjob. In order to do that type in crontab -e and paste the following in the crontab file. 0 * * * * /usr/bin/open "/Applications/last.fm - Azath0th - Wallpaper.app"
Of course you have to substitute the name of the program with yours. Be sure that your desired download folder doesn’t contain any other files that contain “coverart” in their filename or Automator will delete those as well. When the workflow runs it forces itself into the foreground which can be a bit annoying sometimes. I’m not sure what happens if you’re in the middle of a presentation and the workflow kicks in, it might be better to deactivate it during those occasions by putting a hash caracter (#) in front of the call in the crontab file. Enjoy it and please tell me if you’ve got any ideas to improve the whole thing.